People are visual. And nothing communicates a message, a feeling or an identity like graphic design. Whether you need to engage or energize, explain or guide, our in-house talent will add dimension to your project. We ask questions, listen carefully and work hard to deliver solutions — from brand identity, brochures, supergraphics and signage to video and websites. 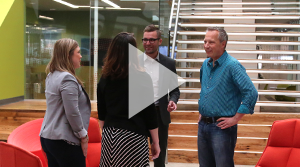 Hear our client describe how RDG’s design process inspired a renewed level of energy and transformed their office culture. The resulting brand expression can be seen throughout the graphic environment. 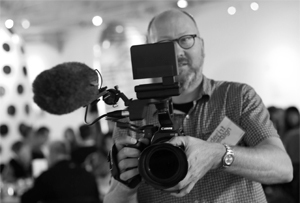 Our multimedia services include photography and videography to allow you to engage your audience in a thoughtful and unique way. Browse our work on YouTube. Need fundraising materials, event marketing or brand design? No need to find a separate agency. RDG has graphic designers on staff to assist your project team.